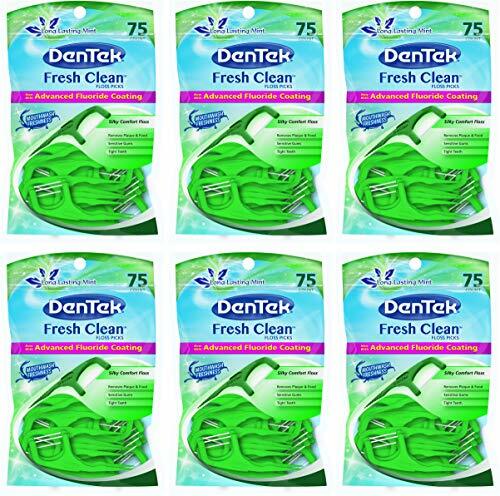 DenTek's fresh clean floss picks are soft on teeth and gums, but tough on bad breath. Freshen your entire mouth with long lasting minty flavor while gently removing food and plaque. Clinically proven as effective as rolled floss. If you have any questions about this product by DenTek, contact us by completing and submitting the form below. If you are looking for a specif part number, please include it with your message.